A clean mouth is a happy mouth. And when Dr. Pulsipher and his staff see you have a clean mouth, we are happy too! When you have braces, you are playing a game of hide-and-go-seek with everything you eat. Here are 5 simple tips to keep your mouth happy. 1. It’s all about the angles. Brush the tops of your teeth and braces with your brush angled down. Brush the bottom of your teeth with the brush angled up. Pointy brushes, aka interproximal brushes, are good for reaching the tiny spots around braces. 2. Brush after every meal! If those sneaky food bits hide in your mouth for very long, they will turn into plaque. Plaque is a sign of a very unhappy mouth! 3. Brush one tooth at a time for at least 10 seconds, and pay close attention to the spots where your braces youth your teeth. 4. Be sure to floss after every meal. Water picks are also very helpful in dislodging any particles you might have missed when brushing. 5. Use a Mouth Rinse. 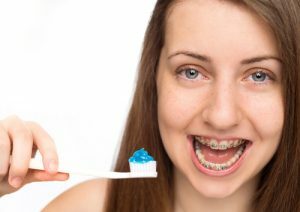 Even after properly brushing and flossing, there are probably some food particles in your braces. A fluoride mouth rinse is the best way to ensure that every bit of food is removed after meals. – Eat a healthy diet. Unhealthy foods that are laden with sugar can contribute to bad breath. Stick with healthy produce, proteins, grains, and dairy found on the list of foods your orthodontist says are safe to eat with braces. – Drink Non-Sugary Beverages. Likewise, steer clear of sugary sodas and juices for the same reason. They contribute to bad breath. – Stay Hydrated. A mouth that’s continually dry can lead to bad breath by inhibiting your production of saliva. Regular production of saliva removes bacteria and excess food from your mouth, both of which cause bad breath. – Brush often. Brush your teeth and tongue first thing in the morning, after each meal and snack and before you go to bed to remove food particles and bacteria that cause bad breath. – Don’t forget to floss. Flossing with braces might seem tricky but it is a necessity. Ask Dr. Pulsipher to show you the best way to floss effectively with braces. – Mouthwash Use. Use mouthwash recommended by the office. For best results, swish the mouthwash around in your mouth for 30 seconds. – Get Regular Cleanings. 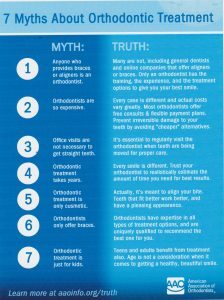 Regular dental exams and cleanings are more important when you have braces. Cavities can delay your treatment progress, so be sure to visit your dentist every six months. 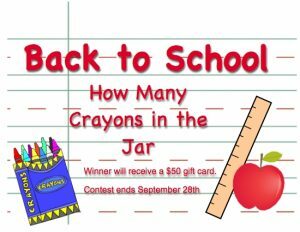 Congratulations Alyssa D. for winning our Back to School Contest! Alyssa guessed 272 crayons and she is exactly right! Thank you to everyone that participated. Do you know your brain is like a muscle? When you exercise it, it gets stronger!! Learn something new everyday! 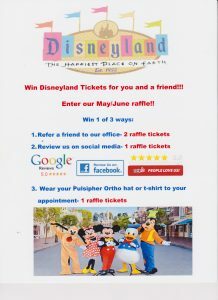 Don’t miss our in office contest to win a $50 gift card in the month of September. 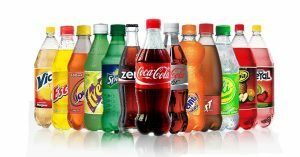 Many people are not aware that soft drinks – even diet soft drinks, sports and energy drinks, and fruit drinks – contain acids, which can be especially troublesome for people in orthodontic treatment. Acids pull calcium out of the enamel, making the tooth soft to the touch and dissolves tooth enamel, a process called “decalcification” and can lead to cavities. It is recommended that you avoid soft drinks during your orthodontic treatment so that your teeth stay healthy and strong, and you finish your treatment with a good bite and a healthy, beautiful smile.